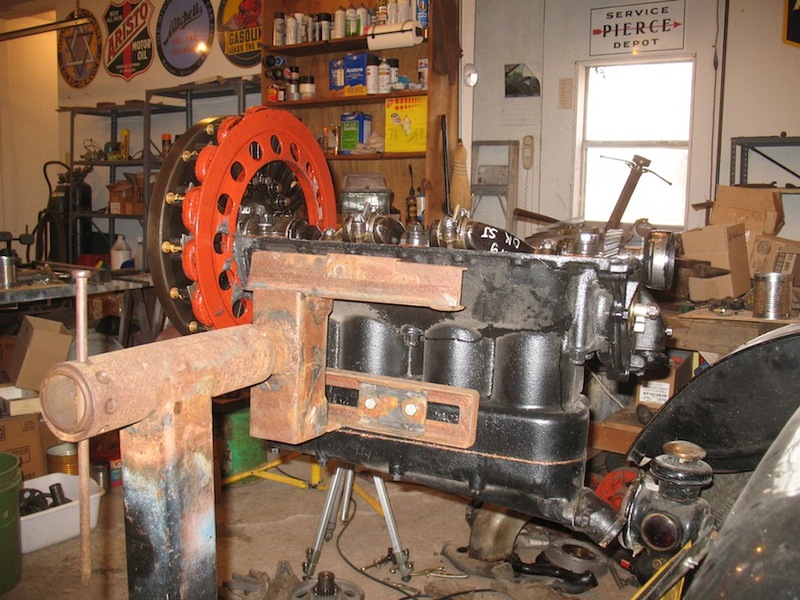 I need to buy an engine stand for my 1919 engine. Is the 1000 lb one that Harbor freight now has on sale for $49.99 sufficient ? I remember reading on here once that the "T" engine was about 400 pounds, but not sure if that is correct. The HF 1000 LB stand is what I use. It works fine. Thanks, I will need the adapter, is the one Lang's sells OK. They take up more space, but a four leg stand is a lot more stable than a three leg one. One of my brothers nearly had his fully built up Pontiac 400 engine take a tumble on his stand when he was rolling the stand on his garage floor and one of the wheels got caught in an expansion crack. With the flywheel and transmission on the engine, the center of gravity is between #3 and #4. With just the engine by itself, it's between #2 and #3. So I made an adjustable adapter that will slide to either position.